Jazmine Christie is dreaming of a future in cyber security after securing her degree place through Clearing last year. When she gladly put down her pen after completing her final A-level paper three years ago, like many people her age, Jazmine Christie didn't have a clear idea of what she wanted to do next. She was keen to continue studying but unsure what subject she wanted to tackle at university. While she was considering her options, the now 21 year old from Milton Keynes moved to Kingston to set up home with her boyfriend. "My family was living with my grandmother in Milton Keynes and there was very little space and not many job opportunities in the area which exacerbated some of the mental health challenges I face, including anxiety," she explained. "When I arrived in Kingston, I figured I might as well get some savings under my belt while I was considering what to do at university so I worked in a lot of different roles from human resources administrator and assistant chef to housekeeper and barista." The University's location was a major draw for Jazmine.While working, Jazmine used her time productively signing up to take a number of online courses. "Basically, I had a go at anything I thought sounded interesting," she said. "After doing a handful of courses, I discovered a real enthusiasm for computer coding and learning about cybersecurity issues." 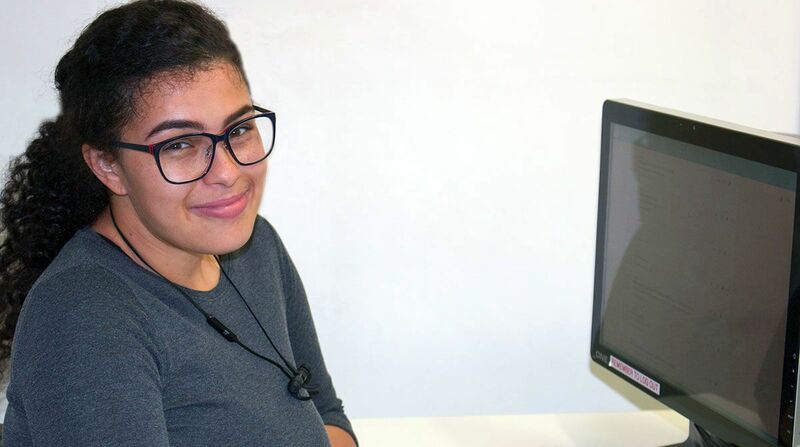 After two years, Jazmine felt she was ready to go to University and study a course that was computer science-related. 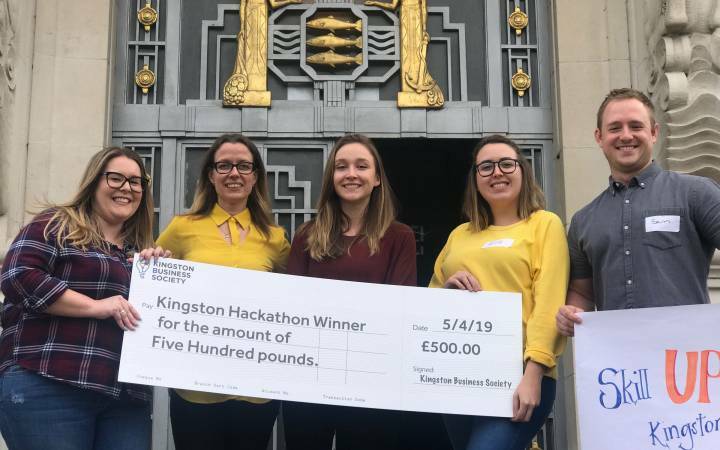 "I was surprised to discover that Kingston University – which was right on my doorstep – offered a course that included coding and cybersecurity," Jazmine said. "I had heard good things about the University and its technology facilities so I quickly made up my mind to opt for that course." By this time though, it was late August last year so Jazmine went to the University's website to apply to begin her degree the following year. "I saw information about Clearing on the Kingston University homepage and – after finding out what it was – it suddenly clicked that I might be able to start the course that same year," she added. "I called the Clearing hotline and spoke to a really helpful tutor who was very interested in the online courses I'd completed and seemed impressed by my work experience and how I'd arrived at my decision on what to study." Jazmine was offered a place on the BSc (Hons) Computer Science degree course due to start the following week. "It certainly was a whirlwind and I had to get my act together super speedily," she admitted. 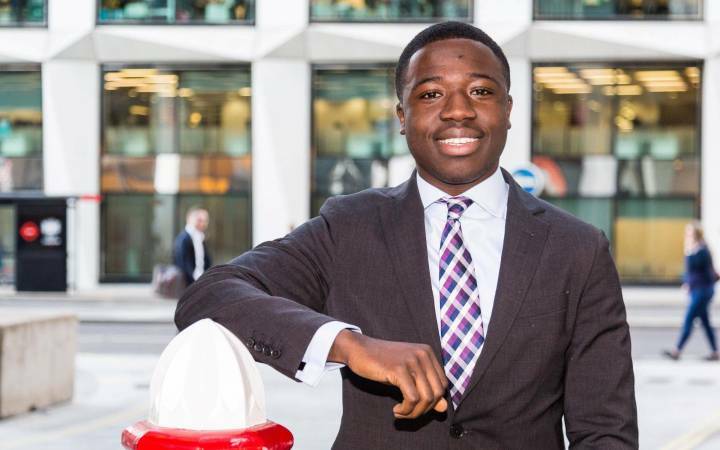 "Although it was challenging being back in education and adjusting to university life so quickly, there was no lack of help. My personal tutor was amazing and I received a lot of financial and mental health support from the Students' Union and the student life advice centre." 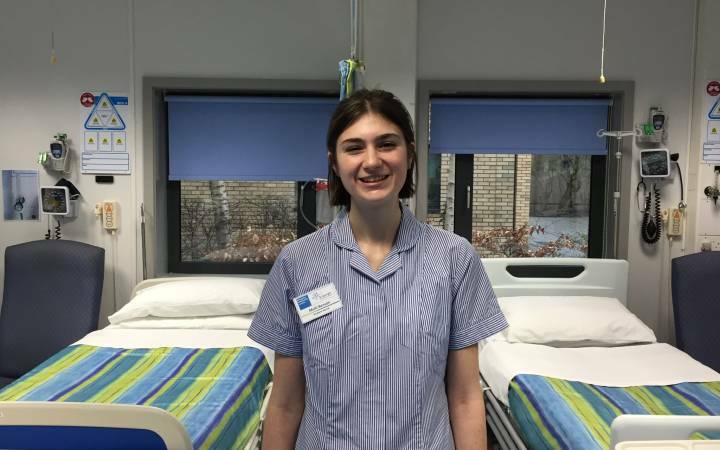 Fast forward nearly a year and Jazmine has passed her first year with flying colours – achieving mostly A-grades for her coursework and assessments. Not content just with her own personal success, though, Jazmine is also passionate about helping fellow students and has been selected to join the University's academic mentoring programme Beyond Barriers. Beyond Barriers aims to improve the retention, progression, attainment and employability of all students, but most notably those from black and minority ethnic backgrounds. Jazmine will be helping students in the year below her. 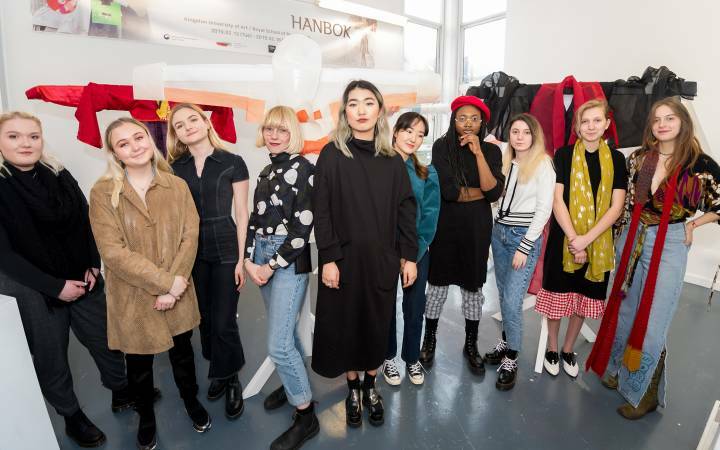 "I'm really looking forward to being a mentor because I'm particularly aware of the difficulties faced by first generation university students," she said. When asked what she liked about studying at Kingston University, Jazmine was quick to answer. "The location is fantastic – Kingston town is lovely and there are lots of student discounts," she added. 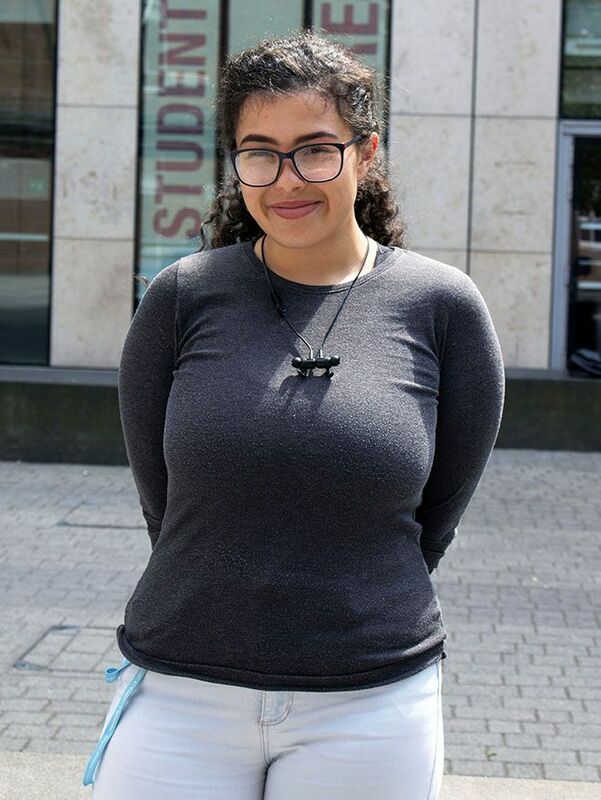 "I am absolutely loving my studies and can't believe I've been able to turn my coding hobby in to a degree course, which ultimately could lead to many different career routes," she said. "At the moment I'm leaning towards working in cyber security and hacking prevention which are hot topics right now." Jazmine's personal tutor Charles Clarke said Jazmine had made a commendable start on her degree journey, settling in very quickly and becoming an enthusiastic member of the student community. "In addition to proactively engaging with her studies, Jazmine has demonstrated a great sense of independence and ambition by taking personal responsibility for mapping out prospective career destinations," he added. Jazmine's advice to students who want to go on to higher education but aren't sure what course to choose is to really think about what they enjoy doing and to not just consider traditional academic subjects. "Check out courses available in Clearing this year – the chances are there is one that matches your interests," she said. "Studying computer science at Kingston University has been one of the best decisions I have ever made." Find out more about coming to Kingston University to study computer science through Clearing.